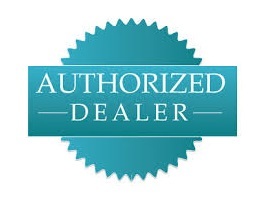 A reliable security system is of utmost importance when it comes to protecting your home or business. With the MPX168AW system you can bank on just that. 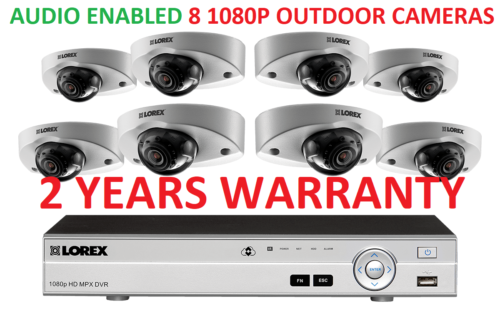 The MPX168AW includes a 16-channel digital video recorder (DVR) that supports 1080p HD recording on every channel and is backward compatible with our full range of analog security cameras. Next to that, eight HD security cameras (featuring vandal-proof design) also provide listen-in audio capability. Additional information (such as voices or loud crashes). Extra coverage beyond the cameras field of view. Help with the interpretation of events (even if they occur of-screen). * Please note, audio recording without consent is illegal in certain jurisdictions. Lorex Corporation assumes no liability for use of its products that does not conform with local laws. ** Audio playback is limited to one camera at a time, when channel is selected and video is in full-screen mode. 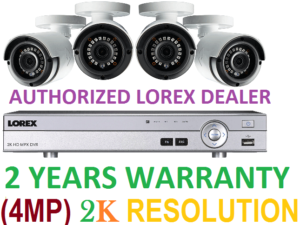 Your LEV2750AB security cameras are designed to take care of themselves. 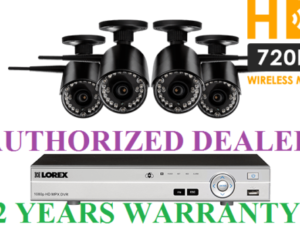 These cameras can withstand blunt force impacts and are rated IK10 (vandal-proof), making them suitable for “within reach” installation, if your premises requires it. The MPX168AW system belongs to our world-class line of analog MPX security systems. 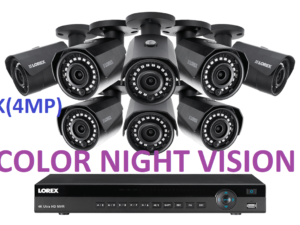 This means that with eight open channels, this DVR can easily accommodate your older analog cameras or any of our full range of analog security cameras – from 400TVL all the way to 1080p HD. LEV2750AB cameras each come with optional mounting brackets that make wall mounting possible, and installating them is easy. Affix the bracket to the wall at the desired installation point, and secure the camera to the bracket using the included bolts. SmartIR technology to compensate brightness on close-up objects. 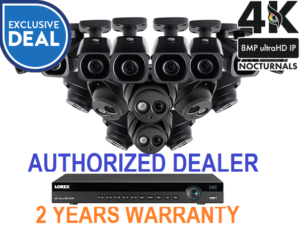 Your LEV2750AB dome security cameras offer versatile installation options – indoors or outdoors. Each camera in the MPX168AW system is fully weatherproof (IP66 rated) and can endure the worst weather conditions. They will even continue to function in cold climates as low as -22°F (-30°C). Record at a lower resolution or schedule recording times to get more out of your DVR. The motion-triggered recording feature can also save space by recording only when movement is detected. Listen-in to your home or business, the built-in microphone allows you to hear and record the sounds of events around your property. Your item will be shipped within 1-4 business day(s). After shipping your items will be delivered within 1-7 business days.